Home > Whats On > Harry Paye Day – Pirate Fun! Harry Paye Day – Pirate Fun! 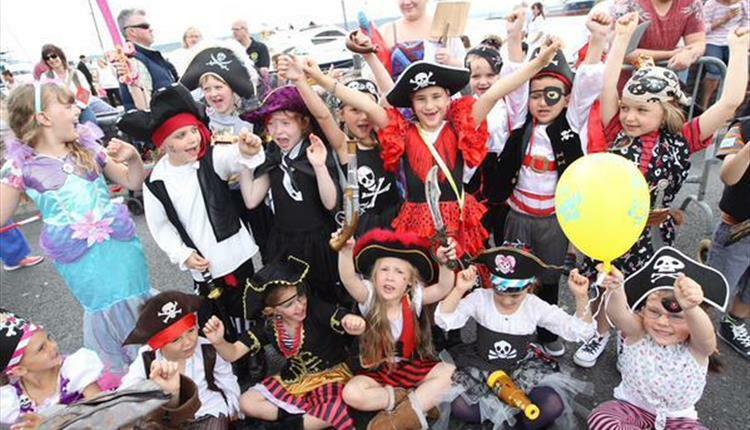 Poole celebrates its famous pirate son Harry Paye with a day of pirate themed family fun and entertainment. The day kicks off with the Parade of Pirates at midday followed by muskets and cannon displays. Or try your luck on the traditional Aunt Sally stall! Cannons will be fired on the hour, so cover your ears! There will also be children’s rides, face painting and story telling. Visitors are encouraged to join in the fun by dressing up and of course expect some shanty singing and live music across two stages.